It's clearly a Monday around here. And all about threes. I guess it all started yesterday when I whacked the daylights out of three of my poor little toes while exiting the pantry. My foot hit the top step as I was going up. Which wasn't fair because I, me!, I was actually making breakfast at the time and bringing it to Mike in bed. Talk about good karma points gone way awry. Why must I be punished for good deeds?! One toe still really really hurts. 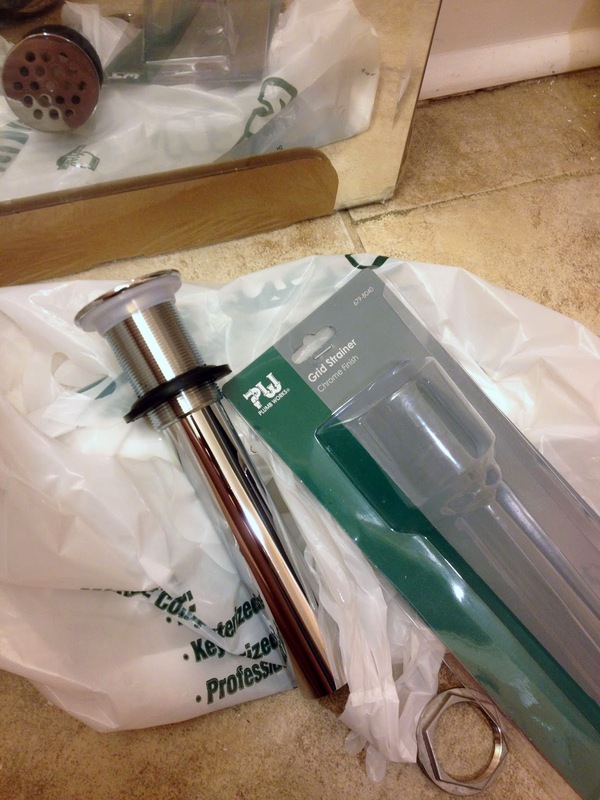 Today I ran over to Menards to pick up a few plumbing parts to finish the basement bathroom sink. I thought I got everything. Bought a couple more little plastic washer thingamajigs, a pipe extension piece, and the drain part for sinks with no overflow. I swear that part doubled in price since the last time I got one. And so began the Trials of Three. Number one: went downstairs, started putting the drain parts together and discovered I need more of the big plastic nut parts to connect and tighten everything down. Rats. I didn't feel like running back out to the store so I sanded the walls down a bit with my palm sander. That only served to expose the fiberglass tape I used over the seams. Grrrr. All right, never mind, moving on. 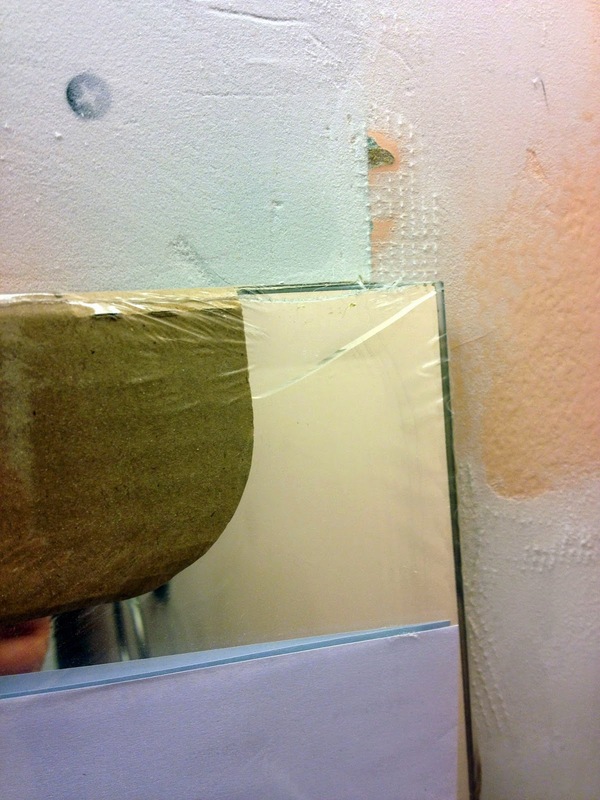 Number two: I picked up the mirror I bought for that bathroom and held it up on the wall to see about where to hang it only to discover that a corner is cracked. Argg!! Darn it! It's a great little mirror as I installed one in the upstairs hall bath but gosh darn it, a trip to Ikea for another one is an all day event. Not to mention it scares Mike when I go there as he thinks I'll buy up the whole store. I suppose I could go next week while he's out of town...... Siiiiggghhhh, ok, moving on again. Number three, or in more correct terminology, impetus-to-throw-in-the-towel-because-nothing-is-going-to-go-quite-right-today: I thought I'd work on the shelves for the library since I picked up foam rollers only to discover the primer didn't do its job causing all the paint to scratch off, including the primer. This was extra special disheartening. This Zinsser FastPrime 2 said it would stick to glossy surfaces. I was planning on using this for the kitchen cabinets too. If it won't stay on a shelf that I haven't even used yet, how will it stay on a high traffic cabinet? I'll have to do some major research on this cabinet painting topic for sure. I'll put a second coat of primer on a shelf or two and if it doesn't stick.....refund, baby. But, that was it. Three things right into the bummer category, one right after the other so I stopped, realizing the DIY House Unflipping Gods were trying to send me a message today: Don't. I was hoping to get rolling on the swanky library today though, which is funny because when I was on Facebook earlier, it popped up that Abigail Ahern posted a new blog entry. Freaky with the timing, it was about putting together a library, and it being a trend, and how we should all have one even though she is anti-trend. Pretty funny. Mike's library idea was cool even before it became a trend! I feel like such a snob saying I'm going to put together a library though, heh. My initial thought was to paint it that Lemon Curd color but I fear that for such a small room, it might not pan out. 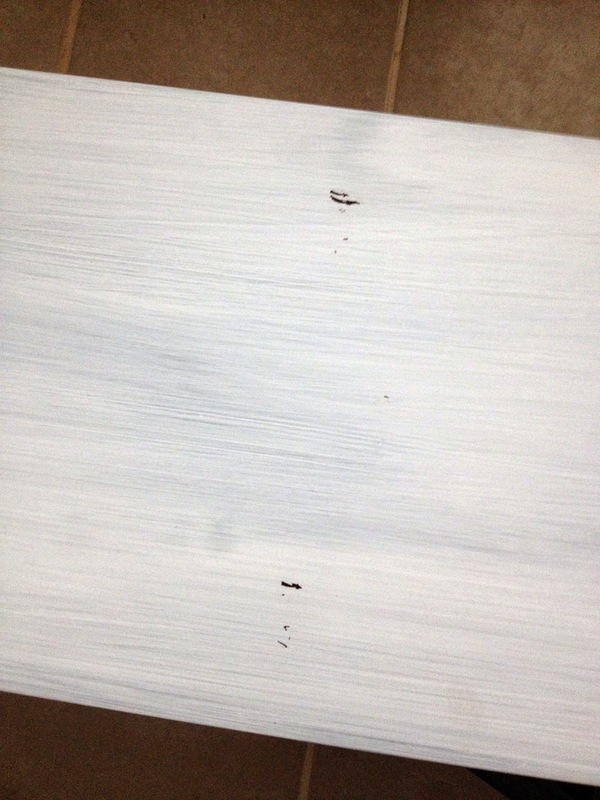 Today I grabbed a paint chip of a color a few shades lighter called Flirty Ensemble. Oy. Who comes up with these names?! Ultimately though, not a lot of paint color will be seen as a.) the room is stupid small, and b.) there will be lots of books covering it. There's so much blue in the house already I'm trying really hard to stay away from it but it's difficult. Ah, maybe black! Actually......yeah. Black is definitely looking good in my head for that room. One, two, three colors I just went through there. One, two, three rooms I tried to do something with. Uh oh, so what will be the last one, two, three of the day?! Everything comes in threes. Maybe I should just go sit on the couch and not move!